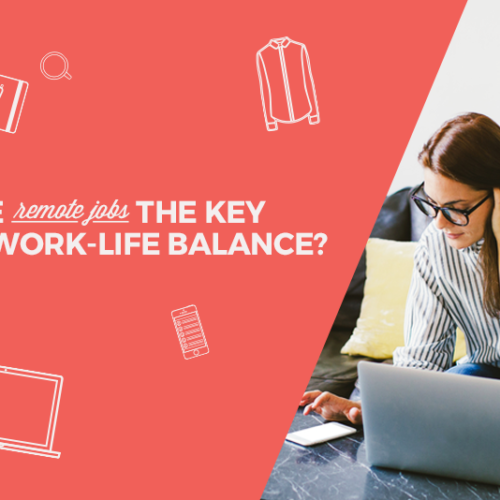 Say goodbye to the 9-to-5. 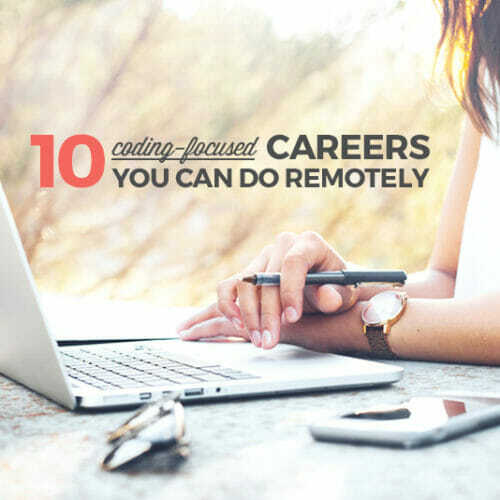 Learn the steps you can take TODAY to get a remote job. 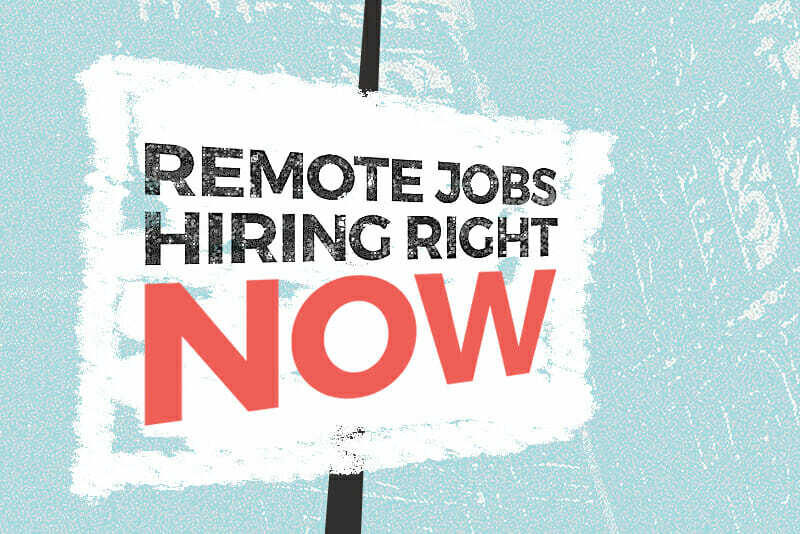 Looking for remote work in the tech field? Take a scroll through these 20 remote tech jobs hiring RIGHT NOW (including two this month here at Skillcrush), because hey developers, designers, and digital marketers—you’re needed! 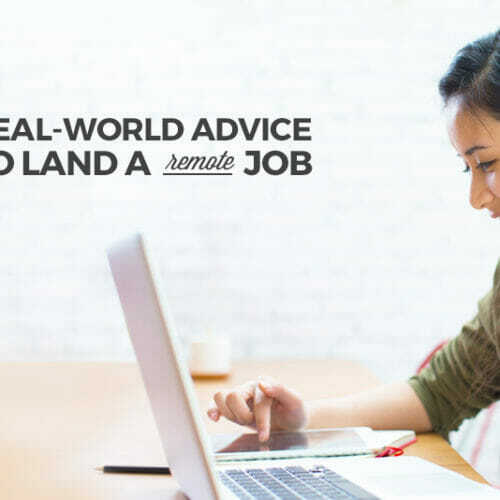 And before you start your applications, remember to spruce up that resume and cover letter, practice your remote job interview questions, and thoroughly research the company. Good luck, and happy applying! You’re enthusiastic, collaborative, and have a desire to build on your experience..
You get work done, while simultaneously finding new, more efficient ways to achieve your goals. You’re experienced in delivering non-trivial web applications. You are fluent in mobile web, and you’re experienced at designing and building for it. You know Ember or Vue. You’re preferably a woman. While it may or may not be your higher purpose, you’re into breaking down gender barriers and removing gender imbalance in the workplace. You have a love for Ruby on Rails and around 2 or more years of relevant, professional experience. You have a proven track record of getting things done and are goal and project oriented. You’re confident in your abilities to handle high volume, consumer-facing websites. You excel working independently and as a member of a small team. You have the ability to clearly communicate and identify areas of improvement and provide appropriate solutions. A link to your GitHub or a similar page that shows your personal projects (including clean, well-structured code, as well as automated tests). A high English level is a must since all our work will be conducted using this language. The Fine Print: This position will likely last for at least 6 months with a commitment of 40 hours a week (occasional vacations off with previous notice are fine) and generally working during NYC business hours (EST) from 9 to 6 (at least 4 hours need to overlap with your time zone to be able to do pairing sessions). Looking to build on the developer skills it takes to land a remote developer job? Check out our Skillcrush Web Developer and Front End Developer Blueprints—our online courses designed to be completed in three months by spending just an hour a day on materials. Strong understanding of Adobe Photoshop and Illustrator—You can design business cards or website comps without breaking a sweat! Strong understanding of HTML and CSS fundamentals—You can build simple, static websites and help other junior developers troubleshoot their code. The Fine Print: This is a five-month contract position, but we’d love to find someone with an interest in staying on long term if it proves to be a good fit. Portfolio of recent project work, with links to live projects. Strong digital illustration skills, and an ability to adapt to our specific illustration style. Solid understanding of designing for a responsive web. Designers who are proficient in Sketch. You would also need to work within Adobe Creative Suite for various project requirements. Designers happy to work with versioning tools like Abstract and present work within Zeplin and export assets for production. Access to a stable high-speed internet connection (at least 100 MB/s) ideally backed up with a secondary connection for redundancy. The Fine Print: This employer is looking for “generalists, meaning it’s absolutely ok if you lack some specific skills in your CV, but it also means that the range of the tasks assigned to you will be very broad. Fluency with industry standard tools like Photoshop, Sketch, Illustrator and so on. Looking to build on the design skills it takes to land a remote design job? Check out our Skillcrush Web Design, UX Design, and Visual Design Blueprints—our online courses designed to be completed in three months by spending just an hour a day on materials. A bachelor’s degree and/or two to five years of relevant employment experience in marketing, graphic design or a related field. Experience with content generation (creating high value content) but also with able handling data to discover hidden opportunities and measure impact. Excellent written skills in English. You can adapt content for each audience (whether they are more casual or corporate) and understand the difference. You can write in several languages (French in particular). You have already created a community (on social networks, forums, etc.). You have created content (text or video) for an online course. You can write technical content (product documentation, API documentation) with a focus on clarity and precision. Strong problem-solving, creative writing, and editorial skills. Strong communication skills (and feel comfortable with communicating the good and the bad). Be able to execute on community initiatives, measure results, and modify programs based on feedback. Retain and demonstrate excellent organization and time-management skills and schedule to hit deliverable deadlines. Be a creative copywriter who understands the balance between professionalism and meta, fun community initiatives. Three or more years of professional work experience in a related role with exposure to how marketing campaigns impact natural search visibility. Strong understanding of search engine algorithms and ranking methods. Experience identifying key performance indicators and success metrics given knowledge and understanding of client-specific business goals. Experience deriving technical insight from Google Analytics, Google Search Console, and directly from SERPs. Knowledge of technical, usability and content-related aspects of a website and their impact on search. Proven ability to interact successfully with cross-functional teams and build collaborative relationships. Demonstrated ability to articulate and deliver reports or recommendations to internal and external stakeholders. Content & SEO: You are an eloquent writer and can plan a content calendar for our blog and external articles. Paid: You can make data-driven decisions and have experience running and optimising campaigns on Google, Facebook and perhaps other platforms. Social: You love Social Media and have experience delivering a winning strategy. Email: Solid experience with email and CRM tools. Looking to build on the marketing skills it takes to land a remote digital marketing job? Check out our Skillcrush Digital Marketing Blueprint—one of our online courses designed to be completed in three months by spending just an hour a day on materials. This is very true. It’s nice to see some people with great knowledge about this. There are so many people out there spreading wrong info about these stuffs. Thank you so much for posting it here. Thanks for the ideas you have provided here. Something important I would like to talk about is that pc memory needs generally go up along with other developments in the know-how. For instance, if new generations of cpus are made in the market, there is usually a matching increase in the size and style demands of both computer system memory and also hard drive room. This is because software program operated simply by these processor chips will inevitably rise in power to benefit from the new know-how. Our company is hiring remote positions too! Can we be added to this newsletter for next month? Thanks! Wish there were some entry level jobs. Fantastic share. I applied to a few. Thank you so much for posting. I love when you guys send out a list like this! It’s super helpful to us job searchers. thank you!! I love these blog posts! I am in the UX program and would love some junior or intern positions for UX to get my feet wet.. any chance you could help finding those? Hi Angela. We have plans for a regularly updated entry level jobs post in the works, so stay tuned. Thanks! Oh that’s great news! Junior-level developer job needed here too! Thank you for this list. It helps to know what types of jobs are available and the skills that are in demand. Hi Lee, thanks for the feedback re: Remote.com. 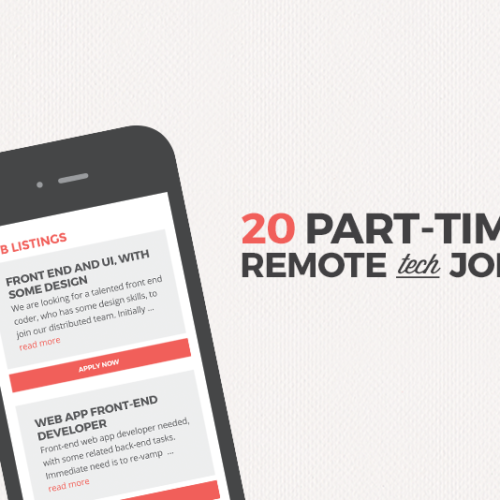 We’ve since changed the format of these remote job posts. Do you ever get job listings for Visual Designers? Hi Teresa. We will be updating these listings about once a month and are trying to include design jobs (along with developer and digital marketing positions). Jive be gone. Jive was purchased by the equity company Aurea a few months ago and now hires exclusively via them. Aurea (or rather, their recruiting arm, Crossover) is also a “remote only” company, looking for lower-cost near- and off-shore employees only. Overwhelmed Trying to Have a Rewarding Career and a Life? 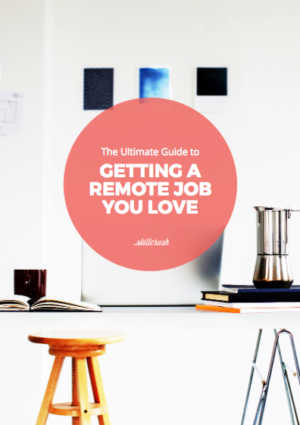 Learn the exact steps you can take TODAY to land the remote job of your dreams.